Calamagrostis x acutifolius 'Karl Foerster'. 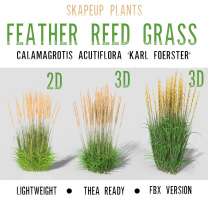 The Feather Reed Grass is a classic landscape design choice. It's a full sun ornamental which grows stalks up to 6ft. in height. It looks great 'en masse' or mixed with perennials. 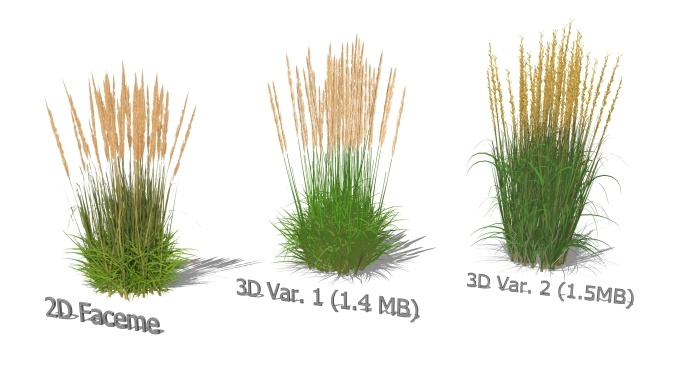 There are 2 variations of 3D models which each weigh in at around 1.5 MB, making it a lightweight plant to use in landscape or architectural visualization. Also included is a 2D faceme component which is derived from the 3D model. The 2D file is on a vector created cutout for better Sketchup shadows and also comes with a layer containing a 2D Top View. 2 clean png files are also included for compositing. For Rendering, there are Mod Packs for Thea and also FBX files which can be taken directly into Lumion or other 3D applications. One of the variations is built with opacity maps for the seedhead and the other uses 3D geometry (which renders faster if using it for scattering). 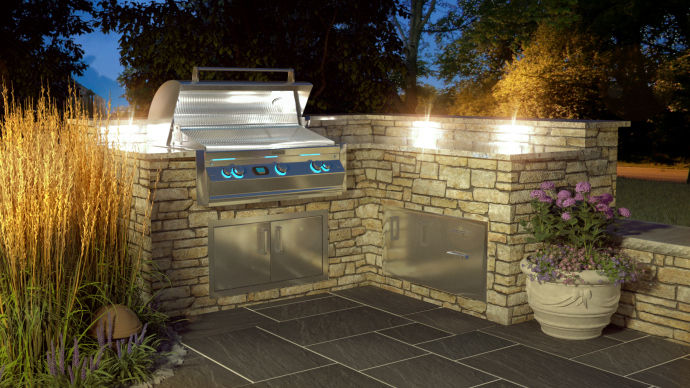 The models have been tested in Thea, Vray, Corona and Lumion. The Thea version and FBX version are slightly different (more varied) than the Sketchup version as they are derived from the full high poly model.